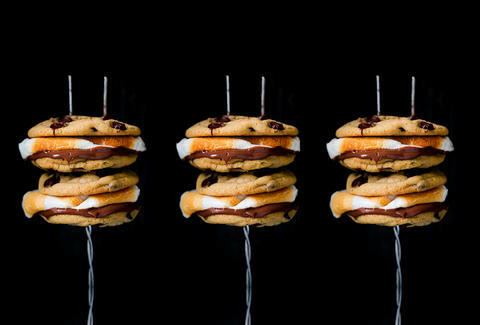 The typical s'mores recipe calls for a piece of chocolate and a marshmallow sandwiched between two graham crackers: the same graham crackers that were created to curb a person's sexual appetite. Throw that libido-shrinking wafer in the garbage, because food blogger Cooking Classy has replaced those crackers with two chocolate chip cookies, and has posted a simple recipe that requires no bonfire building skills whatsoever. Lee Breslouer writes about food and drink for Thrillist, and was never good at Chubby Bunny. Follow him at @LeeBreslouer, because you can't make up a name that good.